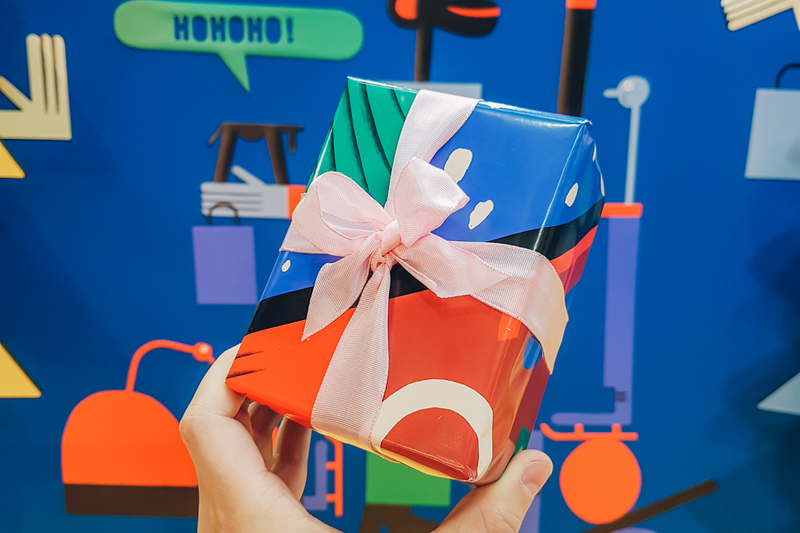 by Frank | Dec 8, 2017 | Misc. 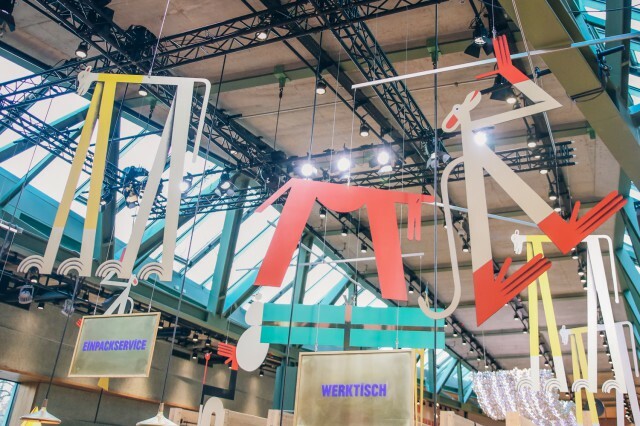 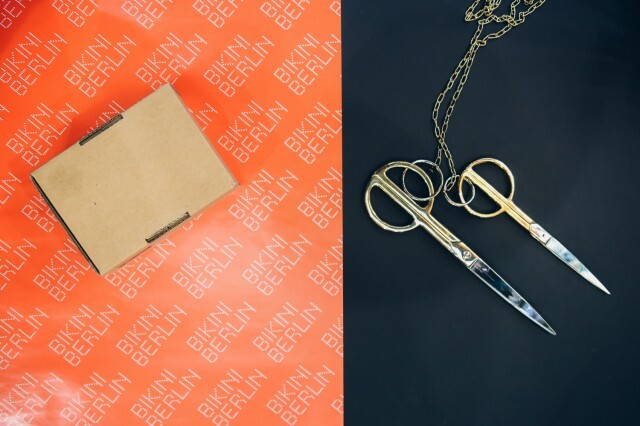 The Bikini Berlin is never short of a lovely surprise when it comes to using their amazing space for beautiful creative projects. 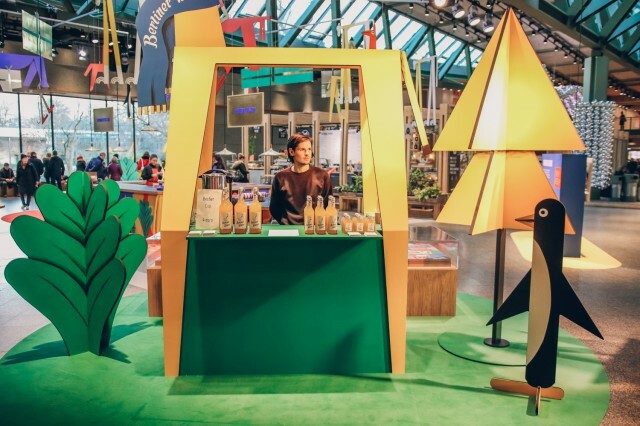 Just like last year they have teamed up with an artist duo to transform the center of the concept shopping mall into a wonderland for the senses. 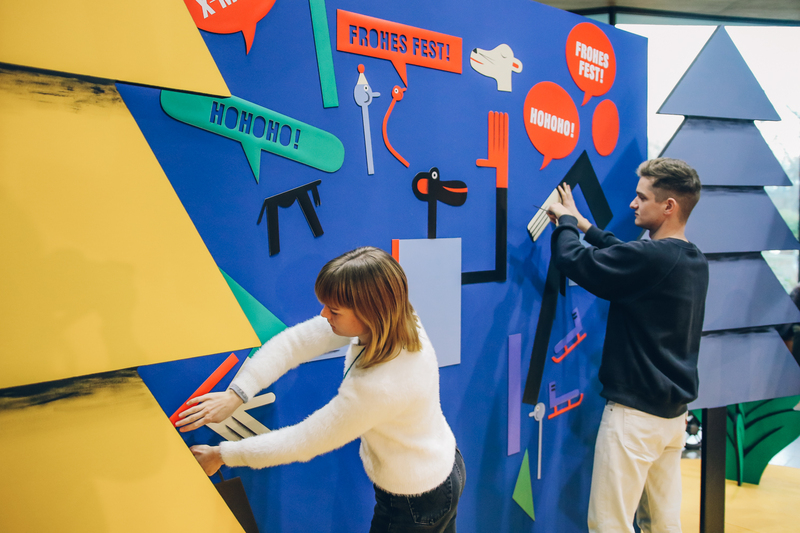 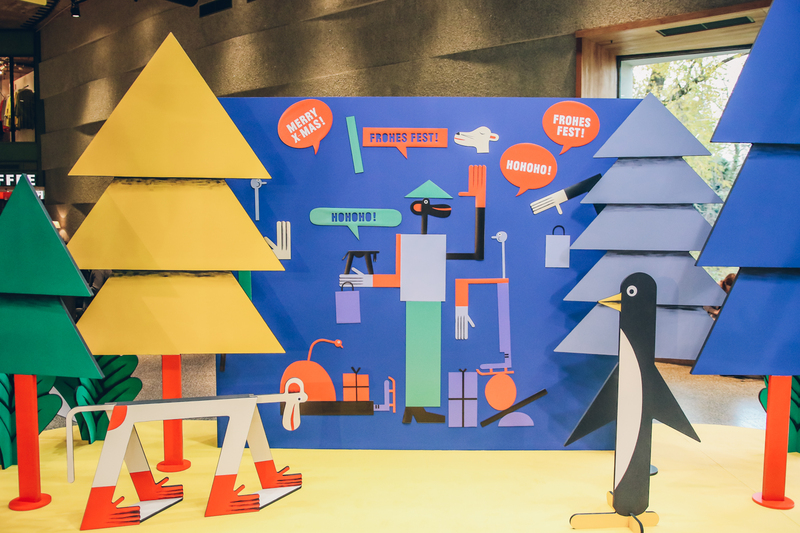 Combining a fun photo wall, a greeting card station, a present wrapping service and a cute little winter punch booth the colorful illustrations of the lovely guys from Zebu magically materialized as a little playground full of curious animals and creatures. 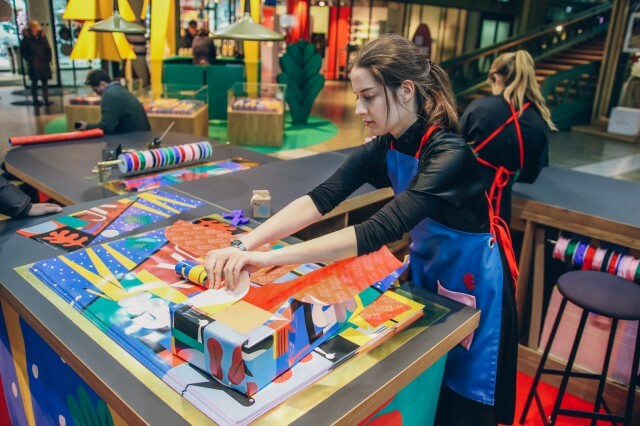 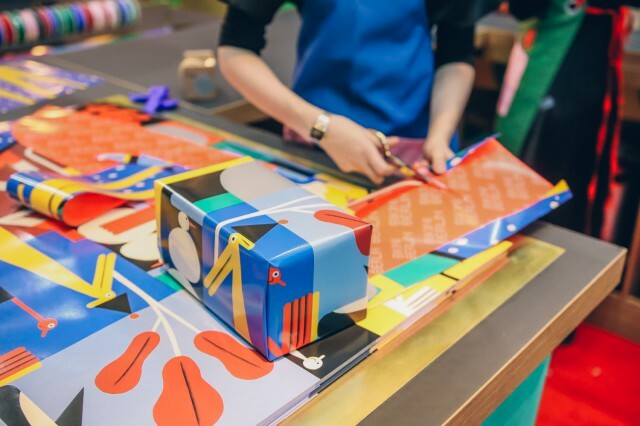 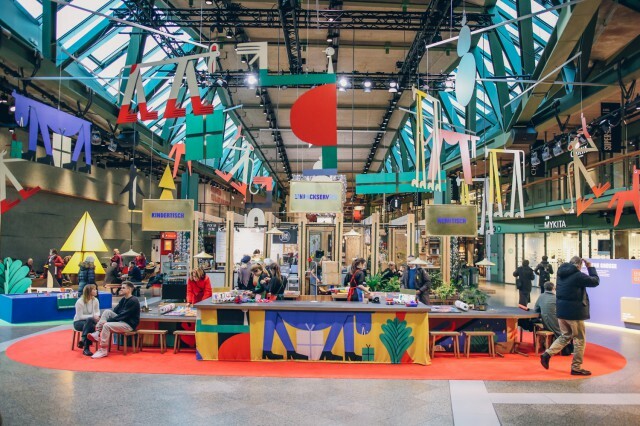 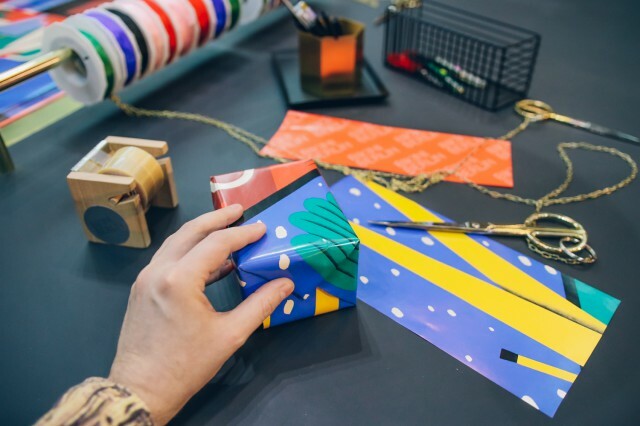 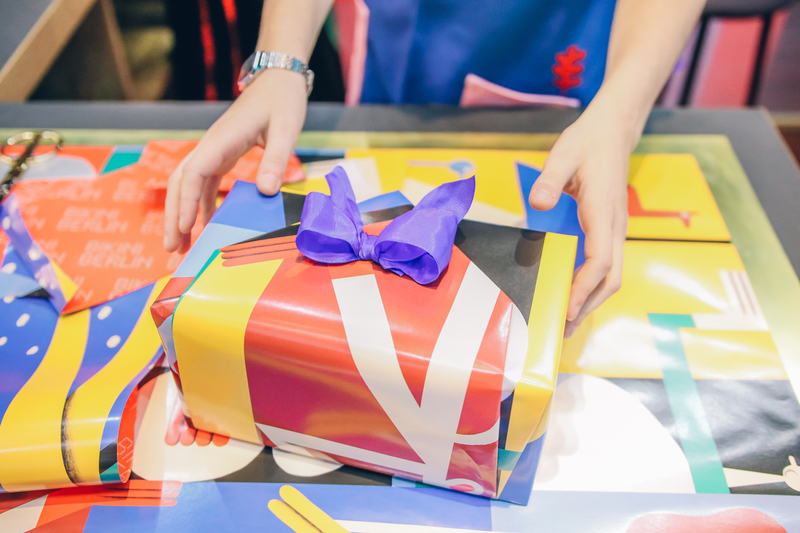 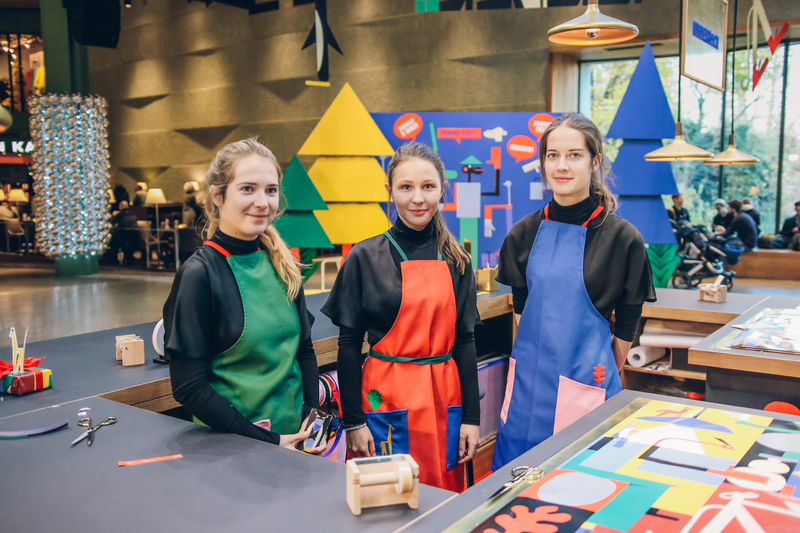 The heart of the installation is the free Christmas wrapping service in the middle where you can bring all your Christmas presents to be masterfully wrapped in the exclusive paper designed by Zebu for Bikini Berlin. Or if you are crafty you can also swing the scissors and ribbons yourself at the big self-service tables. 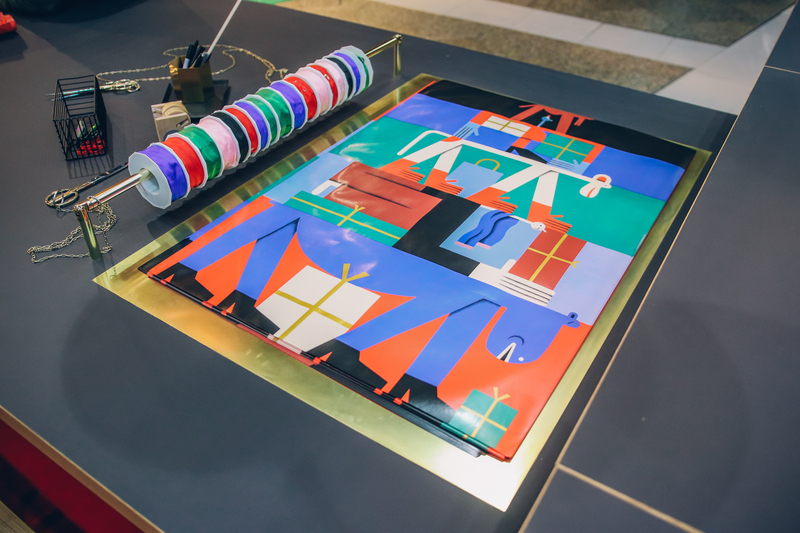 The paper comes with three artworks that represent different aspects of Christmas and embody the style of the two artists perfectly. 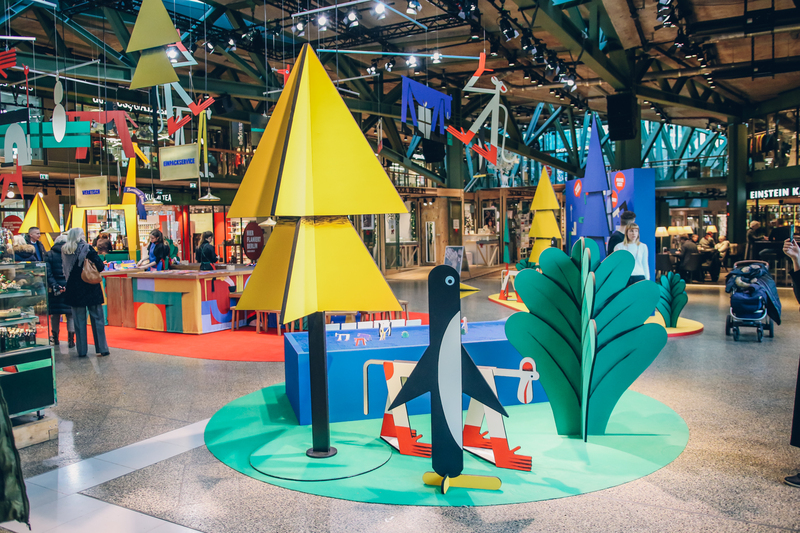 The fact that they love to work with animals makes so much sense given you are looking straight into the monkey house of the Zoo right next to the mall through its big panorama window. 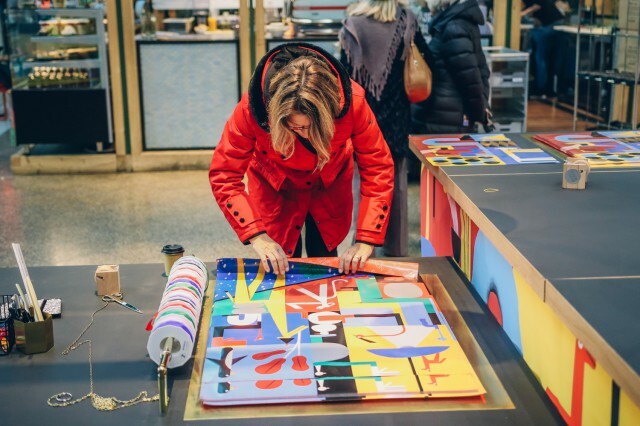 In fact the sheets look so cool that you could as well frame them and hang them in your house as art prints. 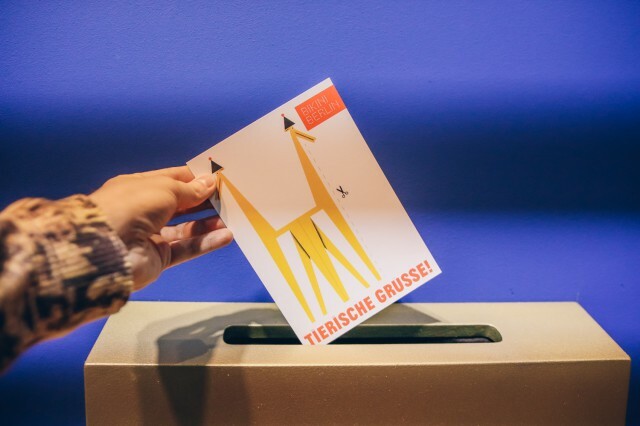 The postcard station offers your the possibility to either send Christmas greetings to your loved ones (Bikini Berlin will cover the postage) or cut out and fold the animals to start your own little zoo. 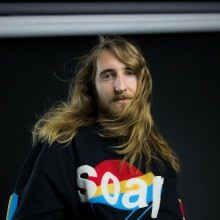 It’s all too cute! You can enjoy the big Christmas installation by Zebu in the center of the shopping mall every day from Mon-Sat from 10-20h until Christmas.